Flutist Alaunde Copley-Woods has delighted audiences throughout the US and in Germany, France, and Russia, including performances at Carnegie Hall, Alice Tully Hall, and The Kennedy Center. 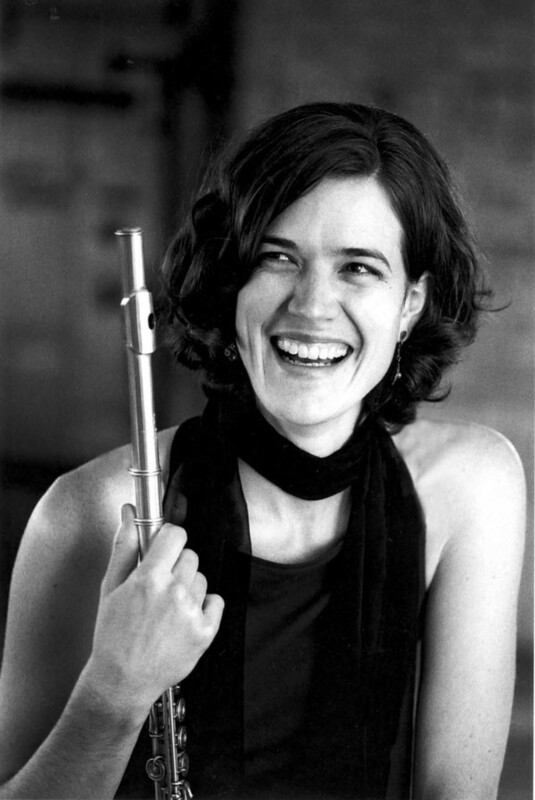 She is Principal Flute of the Greeley Philharmonic and Colorado Chamber Orchestras, and performs regularly with the Emerald City Opera, Colorado Symphony Orchestra, Boulder Philharmonic, and Fort Collins Symphony. Alaunde’s compelling concerto appearances include those at The Great Hall of Cooper Union and Tilles Center, New York. A sought-after chamber musician, Ms. Copley-Woods has performed at the Bard, Bowdoin, Aspen, and Colorado Music Festivals, and in the Brooklyn Friends of Chamber Music series. She was the First Place Winner of the Sorantin International Young Artist Competition and Prize Winner of the New York Flute Club and Kingsville International Young Performers’ Competitions. Her solo performances have been broadcast on National Public Radio’s Performance Today and McGraw Hill’s Young Artist Showcase on New York Times Radio, WQXR. Alaunde devotes much of her time to new music as an interpreter, improviser, and composer. 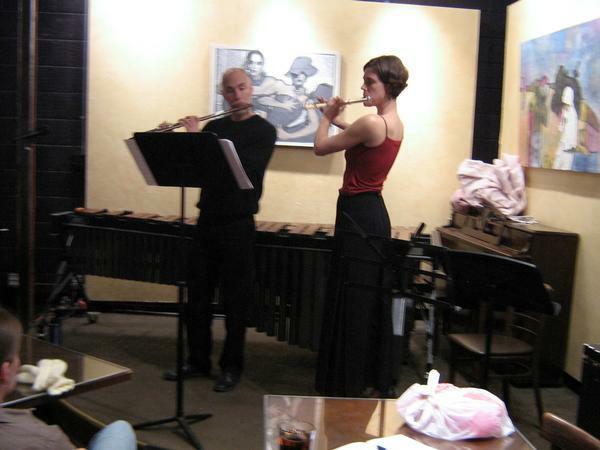 She has performed pieces written for her and her own compositions at new music concerts throughout the country, including Music under Construction NYC, Pendulum New Music Series, New Frontiers Music Festival, and the American Composers' Forum. Her compositions are published by FallsHouse Press and Yamoo Publishing. As a Centennial Scholar, Ms. Copley-Woods earned a Bachelor’s Degree in Biochemistry from Barnard College, Columbia University, and a Master of Music degree from the Manhattan School of Music. Alaunde gives a great deal of energy to educating. In addition to her private studio, Alaunde has taught workshops, chamber music, and master classes at Manhattan School of Music Preparatory Division, University of Colorado, University of Wyoming, Bowdoin Music Festival, and The 92nd Street Y School of Music in New York City.